For a fresh perspective on life, take a moment to look at your birth certificate. It's a quick dose of carpe diem. It is with great sadness that I write this post. 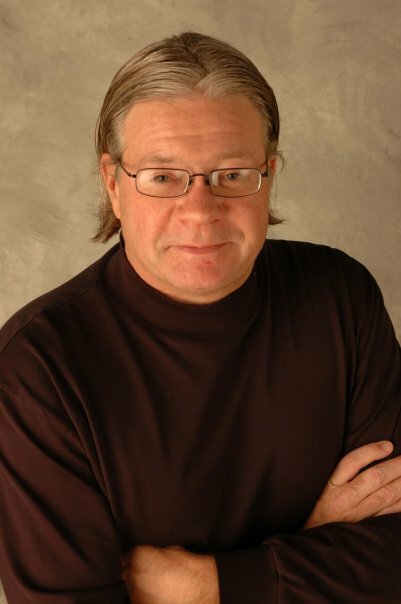 Raymond “Buz” Buse III died early yesterday morning at the age of 57. Both the Business Courier and Enquirer have covered his death. 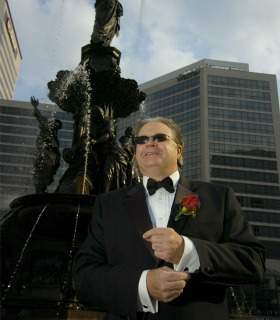 Buz was a consummate PR professional and an incomparable champion of Cincinnati. He spent 17 years as vice president of public relations for the Cincinnati USA Regional Chamber. His career accomplishments are many, too many really to list but know this: when you see thousands of people at Oktoberfest Zinzinnati doing the World’s Largest Chicken Dance, that’s Buz. He was an indefatigable defender of the Queen City. When the city would take a barb, he was the first to cheerfully jab back. Hence, “Blitz Jay Leno Day” to combat Leno’s Bengals bashing. Or, when many were gloomily dreading the five-year anniversary of the 2001 riots, Buz created the Downtown Hop Around “to celebrate Downtown’s recovery five years after three days of rioting damaged the city’s image.” It was Buz who spearheaded the effort to bring VH1’s Top 20 Countdown to Cincinnati. He did not seek recognition, but his passion was too intense to miss. He was honored with PR Week’s 2007 PR Professional of the Year award, the nation’s most prestigious public relations award. When others thought it couldn’t be done, Buse did it anyway, said longtime friend and Mount Adams resident Mary Armor. Buse was also an avid supporter of the region’s young professionals and entrepreneurs, said Over-the-Rhine businessman Ran Mullins. Mullins hired the PR guru in 2008 to join his firm Metaphor as senior vice president of creative intelligence. He was in many ways Wordsworth’s “happy warrior.” He was someone I looked up to. He was the subject of an OTRview that will never be published. He was the author of a book that will never be written (he recently retired to write a book about Cincinnati and his decades in public relations). The last big idea he told me about is still in the works. He swore me to secrecy months ago, and I’m not telling now. But trust me, Cincinnati, it’s big and it’s bold and it’s innovative. In short, it’s 100 percent Buz Buse. I’m not sure how much credit he’ll get once it’s finally unveiled. I know he didn’t want much. But I’m confident he’ll look down on that news conference and smile. And if we as a region can pull off this one last big Buz Buse idea, the rest of the country might just smile back. Buz really set the creative example for follow-on generations. His career was an exceptionally crafted love story with Cincinnati at the center. Buz was a consummate professional in his craft, knowing the ins-and-outs of the public relations business and its politics. Oftentimes turning them all upside down with an idea no one would believe would work until it did. Thank you Buz, for being an inspirational leader carrying the flag of Cincinnati out to the world. You will be sorely missed and never forgotten by those lives you touched. I had the great pleasure to work with Buzz at the Chamber. What a guy! A true believer in the possibility of Cincinnati. I am sad to learn of his death and express sincere condolences to his family.